One of the major parts of the current Masterpiece Cakeshop, Ltd. v. Colorado Civil Rights Commission case before the Supreme Court that you don’t see reported by major media outlets is that the cake maker, Jack Phillips, was well known as a Christian baker before the gay couple that sued him walked into his shop. Phillips had a reputation for turning down special orders for any kind of event that would celebrate something that went against his Christian faith such as a “divorce party.” He also turned down requests to make cakes for Halloween and also lewd designs on cakes for bachelor and bachelorette parties. Thus, David Mullins and Charlie Craig intentionally walked into Phillips’ shop knowing they would face exactly what happened despite their attempts at public denial. In addition, the gay couple involved in the case was actually told they could buy any cake within the shop but that Phillips would not make a specially created cake; thus the couple was not actually denied the opportunity to buy a cake from the business. The couple stormed out of Phillips’ business after being told they could not have the custom cake and went to social media to claim they were denied a cake; a total falsehood. At the time the gay couple entered Phillips’ shop, gay marriage was not legal in Colorado. 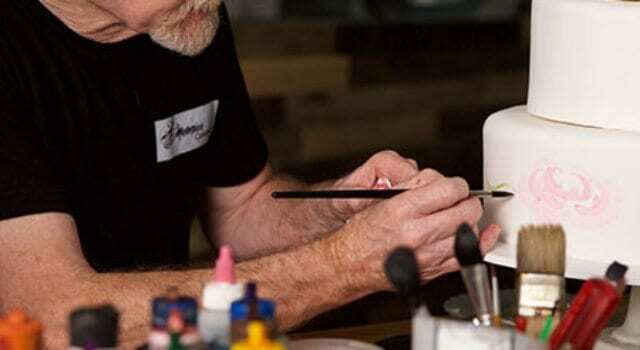 The Colorado Civil Rights Division actually ruled in 2014 that a gay-owned bakery did not have to produce a cake for a Christian evangelist who wanted the cake to contain the message that homosexuality was a sin. So the CCRD ruled while the Christian baker was ordered to make a cake for the gay couple, gays were not required to serve Christians. Previous articleKennedys and Kochs fight green energy? WOW! Next articleSufi’s are always peaceful? No, they are not!